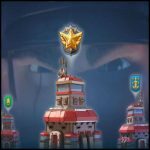 Defense against Hammerman | Boom Beach. All about the Game! ← “The flame is everywhere and everything is burning”. 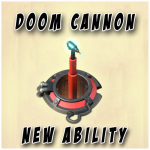 Or the Scorcher – the most powerful unit in the Game! 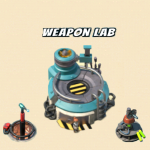 The reward for successfully reflected Hammerman attacks are prototype modules which are necessary for manufacturing of prototype weapons at the Weapon Lab. It’s known to all. 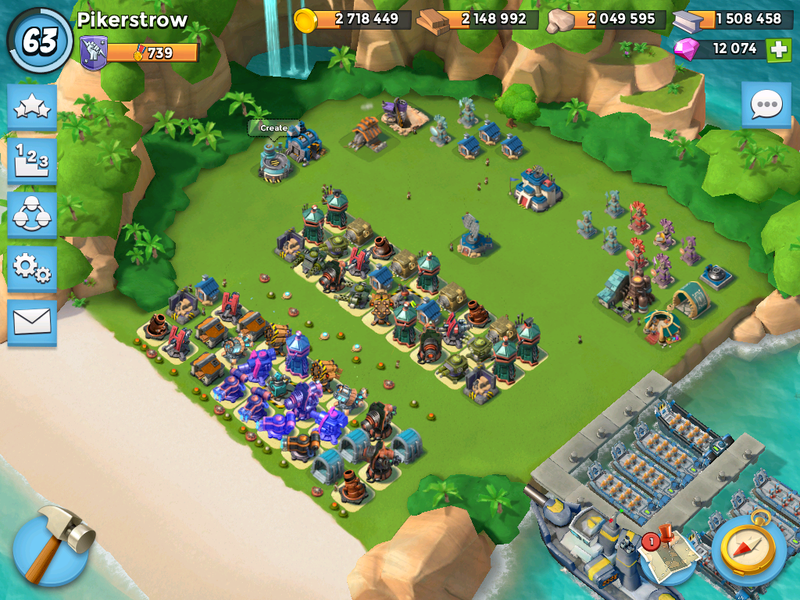 Accordingly, organization of successful defense against Hammerman attacks is an important moment in Boom Beach. 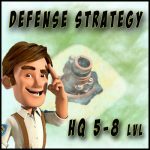 In this post I’ll try to describe three main variant of defenses that I use against Hammerman. Let’s get started. The first and my primary variant of defense I call “two-tier defense”. In my opinion such position is the most effective and I use it in 80% of cases. An arrangement of defensive buildings in two lines chosen not by chance. If You notice, very often Hammerman troops land on the right or left part of shoreline. And when troops destroy weapons before them, they turn and attack the nearest buildings. In this moment attacking troops move parallel to the second line of defense under the constant fire of its guns (this visible on the video below). The second variant is the “one-tier defense”. The placement is similar to the first variant but all the guns are in the one line. It’s also good variant of defense which allows successfully repel attacks of insidious Hammerman. 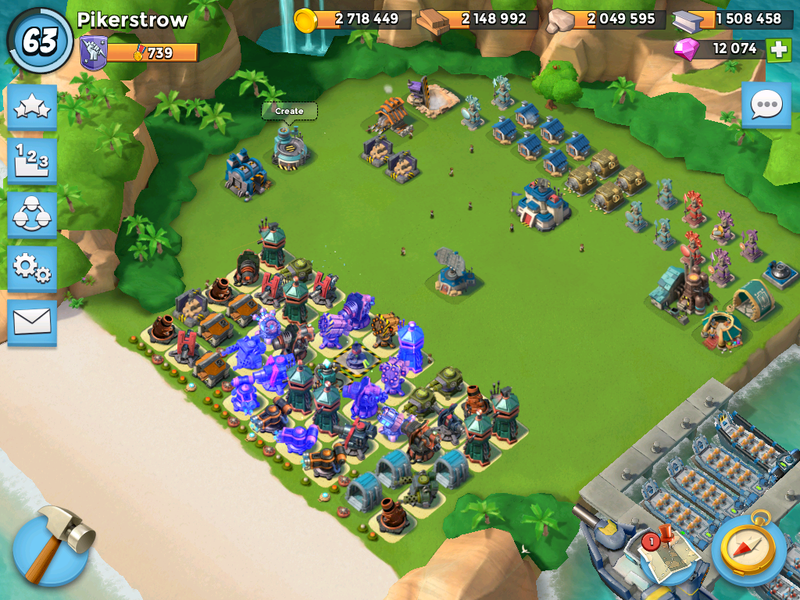 The one minus of such placement lies in the fact that Hammerman’s Gunboat can temporarily disable a lot of defensive weapons at the same time with the help of Shock Bombs or Critters, because all buildings placed tight to each other. The third and the last variant of defense I call “defense-trap”. The main point of such defense is next: when the attacking troops land ashore in the center of shoreline they fall into a kind of trap. Such placement makes the attacking troops to divide into smaller groups which are less effective and can be destroyed more quickly. Also advantage of such placement is that Hammerman’s Gunboat often shoots the buildings located at the end of defense scheme. Such chaotic fire helps to save mines and do not diverts weapons on the first line. – Rockets and Shock Launchers placed in a places from where they can attack troops in the moment of their landing ashore. 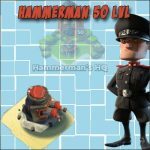 These are two the most important moments in the organization of defense against Hammerman. Believe me. 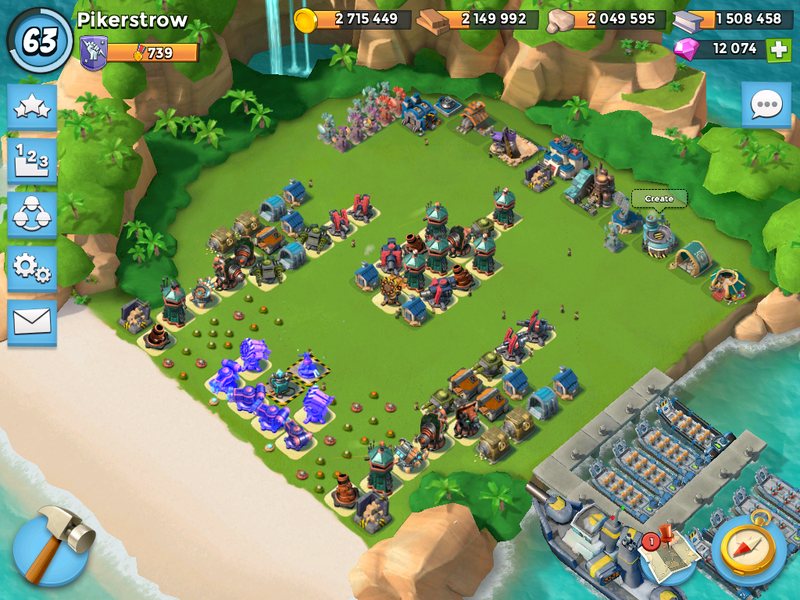 This entry was posted in DEFENSE and tagged Hammerman. Bookmark the permalink. Today was my first time against him, and I’m happy to find here good tips. Even if I’m not so developed as you, I’m sure I can beat one or two more levels with those advices. Glad you’ve found it useful for yourself!! !